We are so excited about the launch of Optimal Skin ProSerum, a ground breaking, revolutionary formulation combining the strength and efficacy of a super-serum - containing potent actives to feed the skin, with a face treatment oil that includes powerful essential oils - to help strengthen the skin on a cellular level. 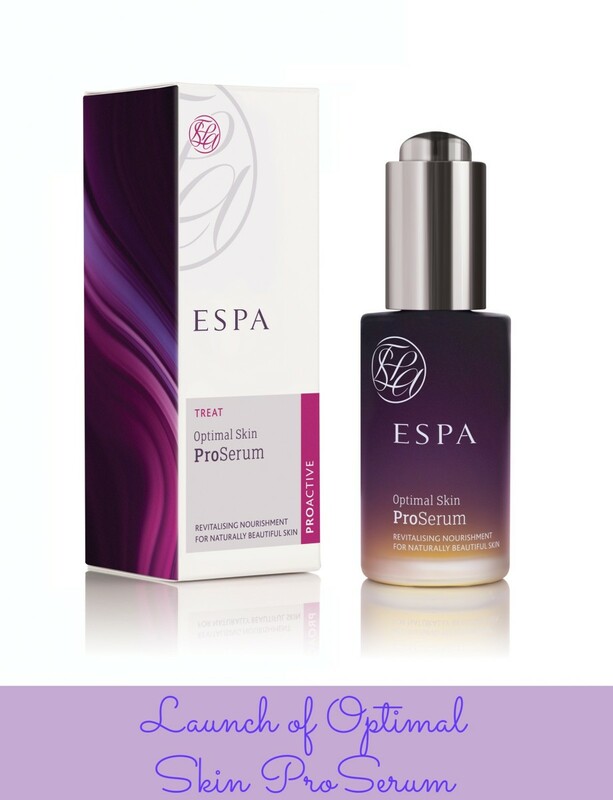 Made by ESPA, the Optimal Skin ProSerumi is a potent super-serum and nourishing, strengthening face treatment oil in one. This includes a blend of key ingredients such as Sunflower Seed Extract, White Lupin Extract, Balloon Plant Extract, Tumeric Root Extract, Rose Hip and Echium Oil, Vitamin E & Evening Primrose Oil, Frangipani Essential Oil, Rose Essential Oil, Patchouli Essential Oil  all with unique properties to help calm, smooth and treat the skin. As the premier international spa authority, ESPA brings the revitalizing effects of spa treatments home with naturally restorative, replenishing products. With the latest innovative addition to the luxe ESPA collection, the spa experts capture the healthy glow of a facial in a bottle. Optimal Skin ProSerum harnesses the power of key natural ingredients to activate skins own revitalizers like Collagen, Ceramides and Hyaluronic Acid. The formula infuses skin with nourishing essential oils and natural extracts to instantly brighten and even skin tone while enhancing elasticity, firming, and preventing signs of age in the long term. 99% natural and suitable for all ages and skin types, the light, silky serum can be used day and night to promote healthy, youthful, radiant skin.